﻿ Engineering jobs & careers at Corex Honeycomb, aluminium core manufacturer. 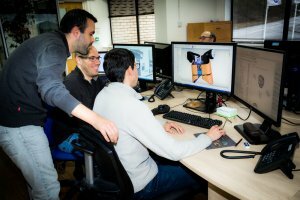 Interested in engineering jobs & careers in the Corex Honeycomb team? We are a fast growing and diverse company to work for; we believe in nurturing and developing talent with support, training and ongoing development advice to all employees to help them achieving their personal goals. Whatever your level or experience we would love to hear from you. We are always interested in hearing from talented and committed individuals that have a passion and drive to succeed in their career. Please have a look at our current vacancies below. If there’s not a role for you on here at the moment that you would like to be considered for, please submit your CV to us for review. We’ll share your CV with the HR team, keep it on file and get in contact if something comes up. Encocam is our parent company of 8 divisions, covering a wide range of industries from energy absorption, safety testing solutions, composite panels, interior design and architecture, motorbike distribution and a range of manufacturing and engineering services. Encocam prides itself on being leaders in innovation and creativity and being forward thinkers in technology and manufacturing. Encocam Ltd. have a commitment to sourcing candidates through our preferred suppliers and as such, we do not accept speculative CVs from agencies. Encocam Ltd. will not pay agency fees where speculative and/or unsolicited CVs are submitted to any employee of the Company, by any means. Furthermore Encocam Ltd. reserve the right to directly contact candidates whose CVs have been submitted speculatively without payment of any fee whatsoever. If Encocam Ltd. requires support to fill any vacancies, we will only engage with preferred agencies. Submission of any unsolicited CVs or proposals to Encocam Ltd. will be deemed evidence of full and unlimited acceptance of our agency policy.